Clarke University will host another two-part brewing workshop in April to offer home brewers an opportunity to improve their craft while networking with fellow homebrewers and a local brewing expert. The workshop is entitled “Detecting and Correcting Off Flavors” and will be held from 6 to 9 p.m. both Monday, April 1, and Thursday, April 4. The workshop will be conducted in two sessions with the $150 fee covering both sessions. The workshop will be led by Clarke University chemistry faculty and will take place in Clarke University’s Food Science Laboratory in Catherine Byrne Hall (CBH 330). Free parking is available in any campus lot or along Clarke Drive. 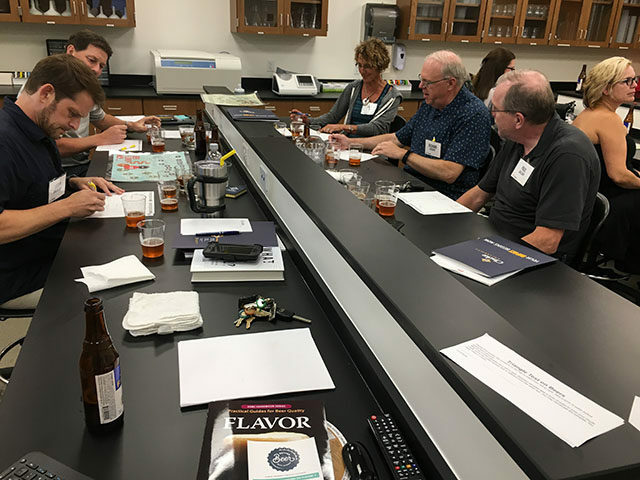 The workshops will cover the underlying fundamentals of the most common off-flavors and discuss methods used to ensure consistency and quality in craft beer. With a hands-on approach, attendees will have the opportunity to practice quality analysis methods and network with fellow home-brewers. Beer samples will be provided by 7 Hills Brewing Co., which is co-owned by Clarke alumni Keith ‘03 & Abby (Peckham) Gutierrez ’04. “Participants will learn the science behind brewing as well as valuable tips and tricks to identify and fix off flavors,” said Sunil Malapati, Professor of Chemistry at Clarke. Event registration is required and can be completed online at www.clarke.edu/brewingworkshop. Questions may be directed to brewing@clarke.edu.